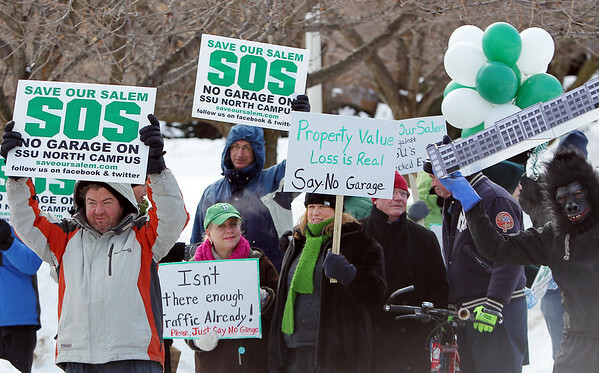 Save Our Salem protestors stood on the corner of Loring and Lafayette Streets on Saturday morning to demonstrate against the proposed parking garage on North Campus at Salem State University that would affect the Salem residents. DAVID LE/Staff photo. 1/31/15.